Possible New Hampshire origin is suggested by the geometric grid that is quilted in double parallel lines, according to experts who have 'parsed' the patterns on New England linsey-woolsies to determine locale. The diamonds contain a flower and leaf motif (tulips?). Remarkable original condition, especially considering its age. 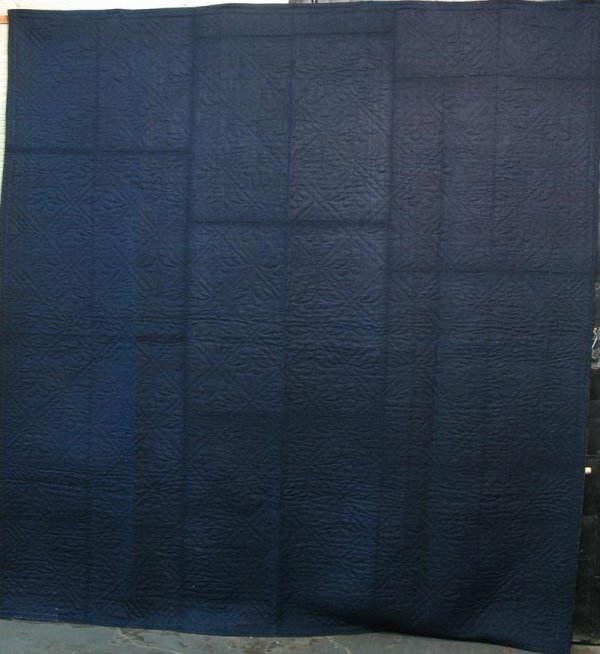 Reverse is a light golden yellow wool on which the quilting is more visible than on the deeply hued indigo front side. Late 18th or early 19th century New England treasure, still absolutely usable in a winter of many storms, two hundred years later. Amazing..